Here we'll show you how to merge: PDF, DOCX, Txt in single PDF file. ﻿Notice you are importing the SautinSoft.Document namespace. First of all, you must specify, where to get the files for converting and a format of these files (*.docx, *.pdf, *.txt). // Path to our combined document. // Remove it if our combined document is already exist. // Fill the collection 'supportedFiles' by *.docx, *.pdf and *.txt. For example: We need to merge 1.txt, 2.docx, 3.pdf. The next step is to combine ALL found files into single document. Because we are copying a section from one document to another, it is required to import the Section into the destination document. This adjusts any document-specific references to styles, bookmarks, etc. // Now the new section can be appended to the destination document. We combined all the files into one document. Now save it as PDF. By the way, you can save these files as DOCX, RTF, Text. // Save single PDF to a file. 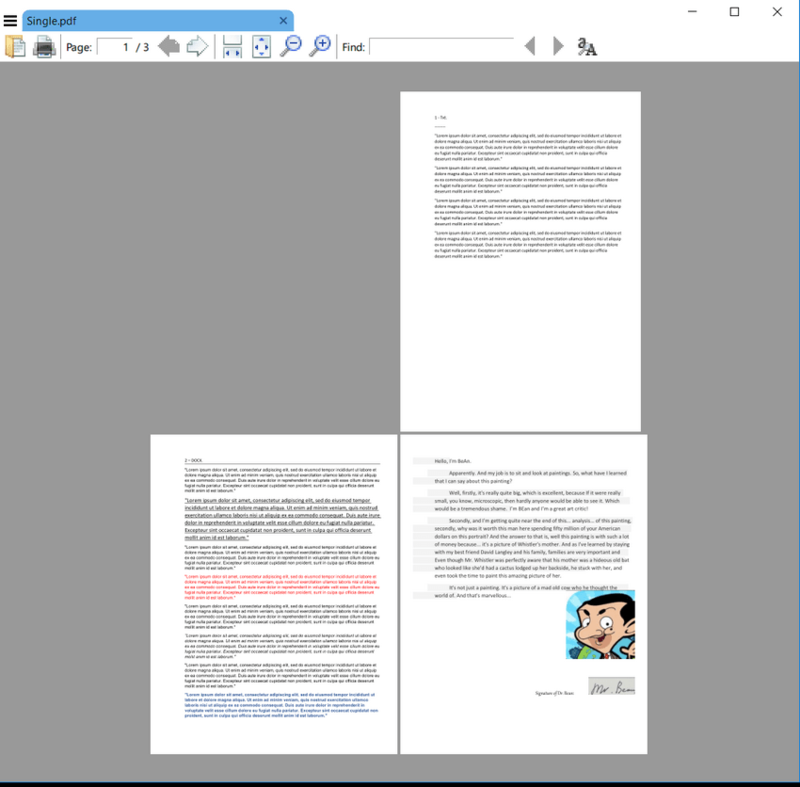 /// This sample shows how to merge multiple DOCX, RTF, PDF and Text files. // it is required to import the Section into the destination document. // This adjusts any document-specific references to styles, bookmarks, etc. // is ready to be inserted into the destination document. // First section start from new page.
''' 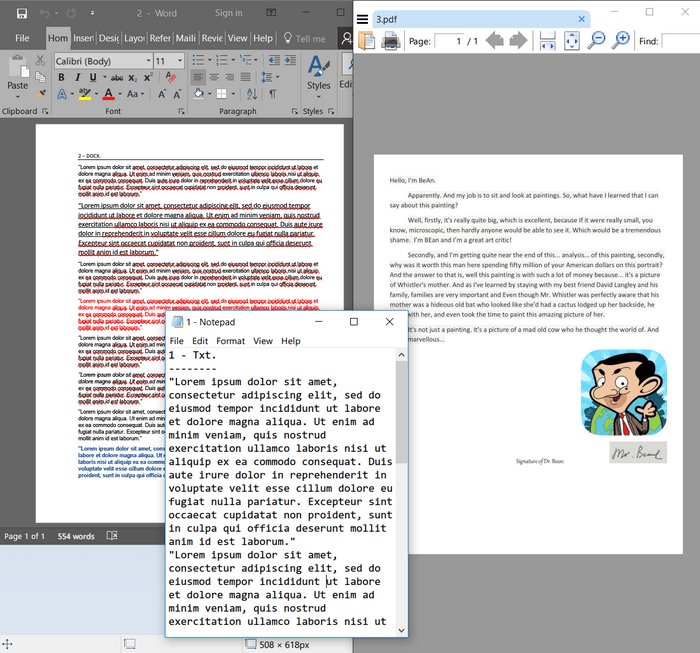 This sample shows how to merge multiple DOCX, RTF, PDF and Text files.
' Path to our combined document. Dim singlePDFPath As String = "Single.pdf"
Dim workingDir As String = "..\"
' Fill the collection 'supportedFiles' by *.docx, *.pdf and *.txt.
' Loop through all sections in the source document.
' it is required to import the Section into the destination document.
' This adjusts any document-specific references to styles, bookmarks, etc.
' is ready to be inserted into the destination document.
' First section start from new page.
' Now the new section can be appended to the destination document.
' 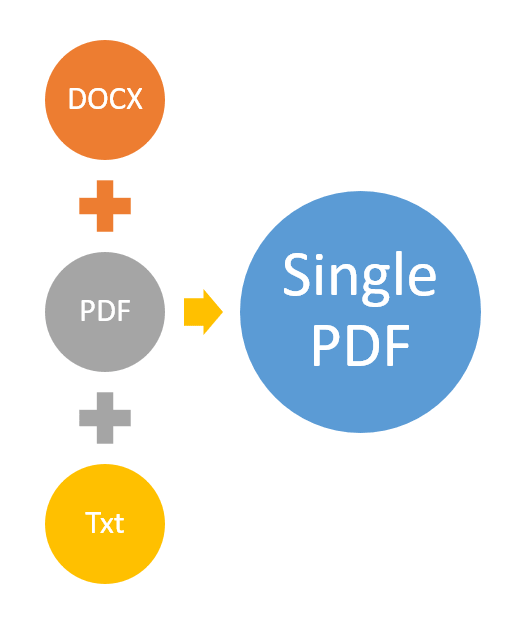 Save single PDF to a file.